These roles of choice include mother, father, sibling, relative, friend, teacher, fellow pupils, boyfriend, girlfriend, lover, husband, wife, child, grandchild, grandparent, etc., etc. Included in these roles are best friends, so called “Soul Mates” (actually everyone is a Soul Mate), enemies, murderers, rapists, adulterers, thieves, gentle people, loving people, fearful people, giving people, caring people, healers, sinners and saints, to name a few. Every Soul comes from Light and is energy. While in the physical, the Souls learn about Ego and Ego infiltrates Soul. In the context We use Ego it is best defined as “Edging God Out”. In this context, Ego is negative, it is egotistical and it is darkness. The healing process involves moving from Ego to Soul for Soul to reclaim its rightful place of being Light in the body. Once the Light has emerged, the Soul has started its reclamation process. The continual process bringing more Soul, more Light, into play allows the body to heal, to grow and to evolve. This relationship with other people (Souls with bodies) can sometimes be a mirror relationship. This is where people exhibit behavior that you exhibit now, or have in a “past/parallel/future” life. This mirror enables you to see, invariably, your Ego at work reflected by others. By changing your “ways” and “improving yourself” – inevitably achieved by coming from Soul/Love, not Ego/Fear – this mirror enables you to heal, to grow and to evolve more into the Light. This journey of your life on earth is your choice to go on a path to find your worthiness as you involve yourself with others in various relationships. However, We, your Guides, are non-judgmental, non-manipulative and non-controlling. We are here for you to call upon Us. Soul will always give you what you need – not necessarily what you want – that’s Ego’s role. Nevertheless, you always have freedom of choice – your Soul Contracts notwithstanding. If you don’t achieve your Soul Contracts through your freedom of choice, you simply return to this plane you know as earth, at another time, to attempt to complete that healing process. It takes courage to be in the physical and We admire you all greatly for that. We are here to guide you to heal, to grow and to evolve – in Love and in Light. 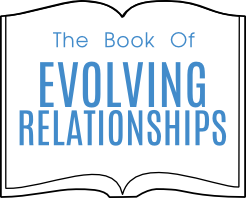 These 49 lessons, as Chapters in the Book, given through this Channel, should help you understand the role of Ego and Soul in your relationships as you heal, grow and evolve. 7. Where Does Fear Come From?